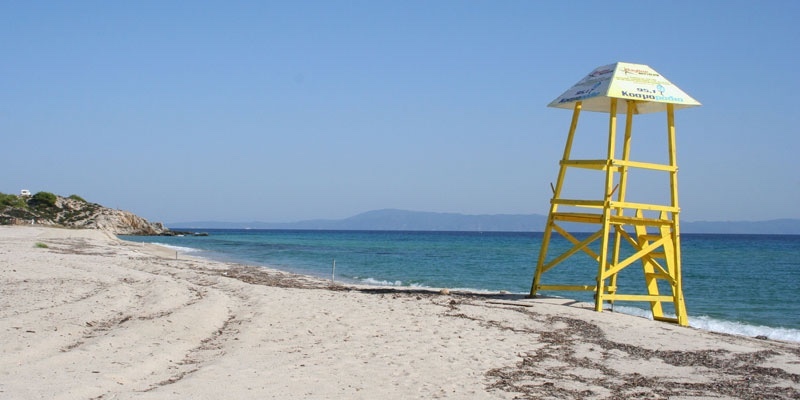 Platanitsi beach has been described as one of the most popular and beautiful beaches around Sarti. 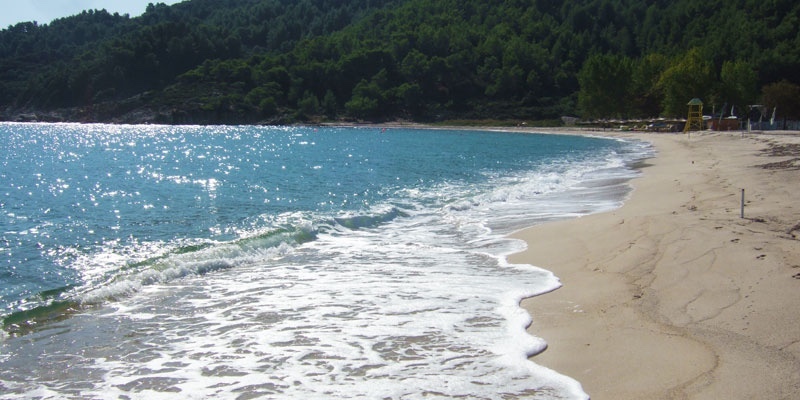 Considered a ‘Blue Flag’ beach, Platanitsi’s sand is ‘to die for’ and is a great swimmers beach. 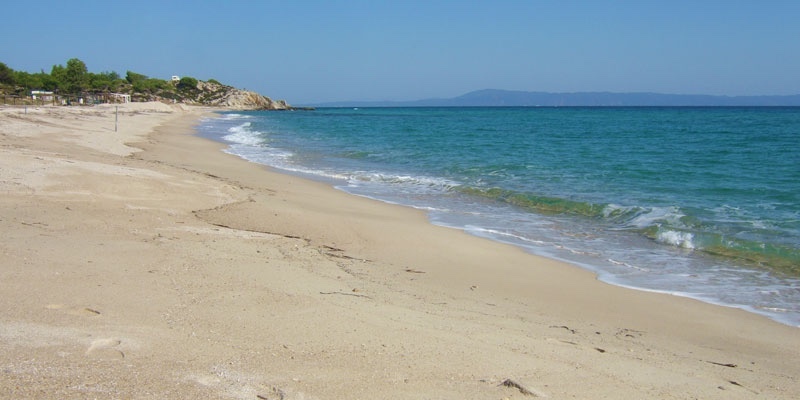 The beach is controlled by the campsite that requires an entrance fee in the high season. Platanitsi has super organization. 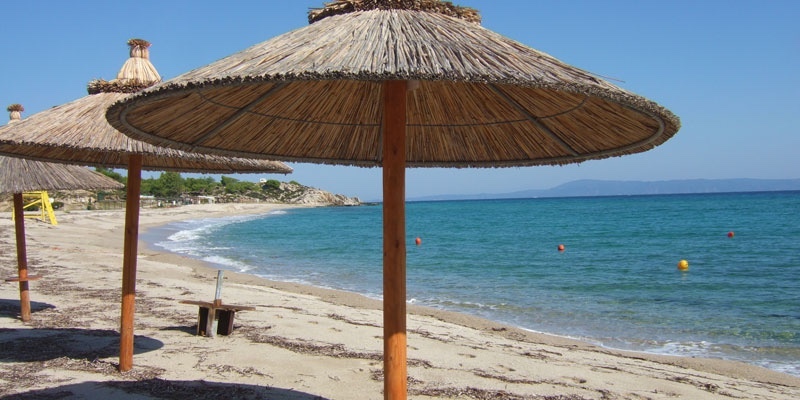 There is a popular beach bar that has set up sun-beds and umbrellas that are included when you order a drink. This is a party beach that attracts a young crowd, so the music is loud and not to everybody’s liking. 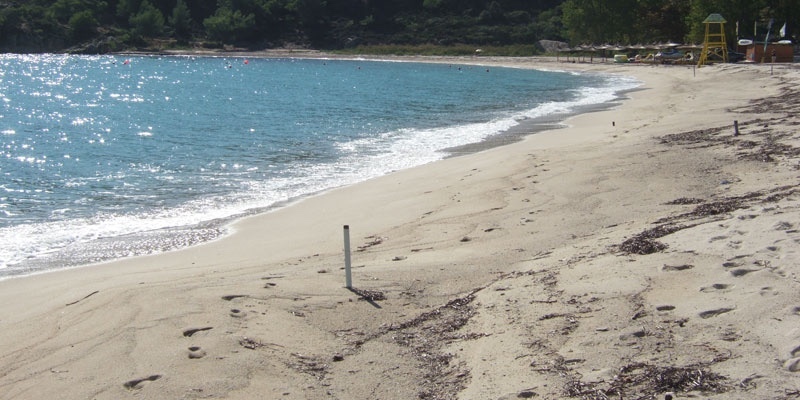 The beach is large so you can also set up your towel and umbrella if you want to keep out of the organized part. 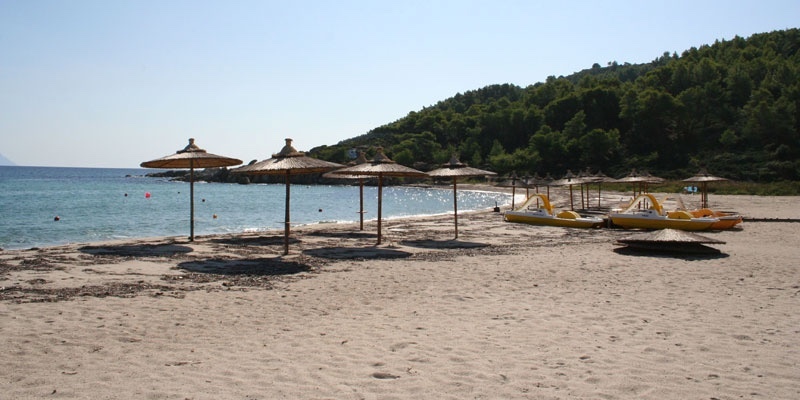 This is also a popular diving beach. 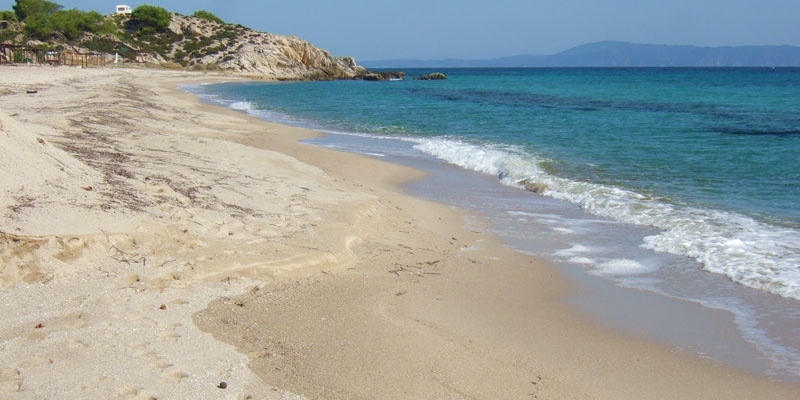 The soft sand is amazing and the water is very clear. The depth is not shallow or deep, but more average and there can be waves to play in. On the ends of the beach you can find some quieter nooks to hide from the crowds. Beautiful beach for its sand and water. Direct view to Mt. Athos. Access limited and can be noisy from the beach bar. 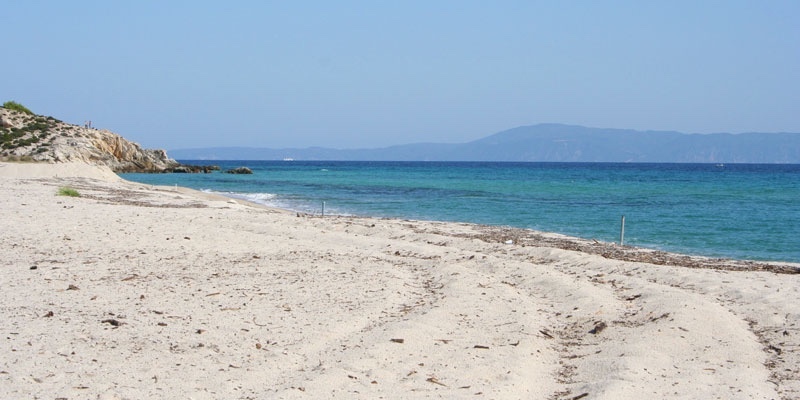 A few kilometers north of Sarti follow the signs to Platanitsi. Well worth a visit if you are in Sarti, come for the party! Not well recommended for young families or those looking for quiet time.